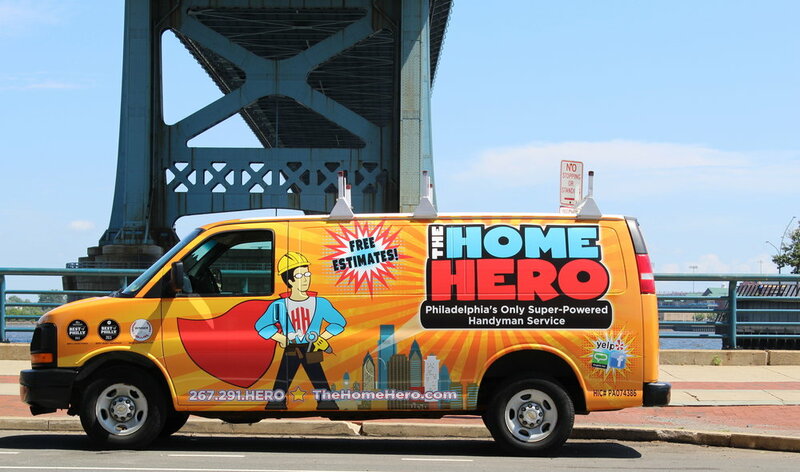 Pete Rose is the Founder of Home Hero, Philadelphia’s “Only Super-Powered” Handyman Service, offering quality craftsmanship, polite and friendly technicians, and a heroic commitment to customer service. 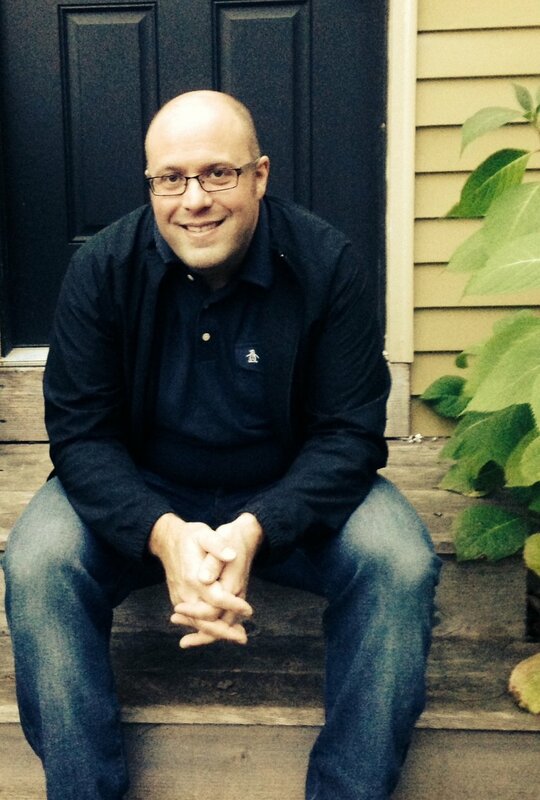 Pete describes himself as an “accidental entrepreneur” who found his sweet spot by being pushed outside his comfort zone. What was your initial vision for Home Hero? I’m what I’d call an accidental entrepreneur. I worked in advertising and marketing for 15 years. In 2009, I got laid off like so many other people did. My son was a baby at the time. I was looking for new jobs in the same field, but didn’t really love what I did. Home renovation was something I did for fun. I renovated my parents’ house in Connecticut, my own house, and an investment property in Margate [New Jersey]. I’m self-taught — I learned from a Home Depot book. My wife was the one who really encouraged me to take the leap. I was concerned that by going down this road, by opening my own business, that it wouldn’t be easy to go back. But she recognized my organization and attention to detail, and really pushed me out of my comfort zone. To go from a paycheck to no paycheck while having a small baby at home was scary. Some people start with cash, some with investors — I had nothing. No credit, nothing. It was a very rough financial period — I’d lost my job, the economy tanked, the investment property I owned went south. So I had to be profitable from day one. I had to make enough to feed my family. For the first two years, I worked eighteen hours a day. I would be up until two or three in the morning. I never stopped. In the last few years, I can turn it off — I have flexibility now. I don’t hyperventilate if something goes wrong or a check doesn’t come in on time. In the beginning, there were literally weeks when, if clients didn’t pay and I couldn’t cash that check, I couldn’t make payroll. It caused constant anxiety. But if you can make it through the first five years, you’re good. You’re going to make it. Free time. I don’t have any hobbies or free time. I work all day and take care of my family at night. I work a bit more at night, but weekends are all family. It can be hard to carve out time for yourself and I have to do a better job of that. It’s definitely easy to sacrifice your health and mental stability. In today’s age with email — I’m always on. There are times when I turn it off, but it’s hard to do. I tend to jump on things as they arise. If not, there will be a shitstorm in the morning. I just went on vacation for two weeks with my wife and kids. We were touring around London all day and would get back to the flat by 11 p.m., but I would be up until 2 a.m. answering emails so my team could wake up and get things done. I couldn’t do that five years ago — it’s a testament to how far we’ve come. But I still need to provide an immediate response to my team and my customers. This business is my third child. My parents might have been a little nervous. They were always nervous. Their generation liked a nice stable paycheck. I never thought of myself as an entrepreneur, but when I look back, whenever I worked for another person I realized that I never really enjoyed it. I was always happier working on a project for myself. I’d get excited and stay up late working on it. When I was working for someone else, it was like dragging me to water and I wouldn’t want to drink. But there’s something exciting about working for myself. I look to those people that I’ve met for mentorship. Having mentors is important. It’s especially huge when you’re not a partnership, when you’re a solo entrepreneur. When you have someone else, even in a different line of business, what you find is you have a lot of the same problems. This person can refer you to specific advice, a vendor, software — things like that. I’ve met some very generous people. I’m proud that my employees seem happy and will go out of their way to make the company successful. They know I have their back. If they need something, my answer is always yes. There is a respect for them and their expertise. I motivate by being supportive, nice, and friendly. I make everything fun as best I can. I look for humility when I hire — a good sense of humor and someone who can take a joke. I want someone who wants to make customers happy then go home and enjoy their life. Failure was not an option. I don’t throw in the towel very easily. There’s always a way out, and sometimes you have to go down to go up. To have confidence in yourself. Whatever the problem of the day, month, or year is, you will get there. And to have patience. Not all problems will be solved overnight; it takes a little bit every day. All problems — no matter how scary or overwhelming — I was able to eventually deal with by being diligent and working through it. That’s something I’ve gotten better at over the ten years doing this — having patience and trusting that things will work out.